Paul DuPree is a teen who has lost his hardly present dad to a shooting that is commonplace in Harlem. Working in a soup kitchen just to get by, he is forced to listen to the soup man, Elijah talk about “the social contract” and how to feel good in a world that isn’t fair for everyone. A gripping, extraordinary Myers book will save lives with Paul’s learned lessons. 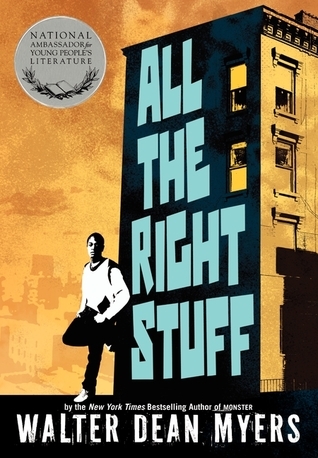 Sign into Goodreads to see if any of your friends have read All the Right Stuff.